We love working in Real Estate in the Wellesley and Metrowest Boston area, and the best part of what we do is meeting and working with the BEST CLIENTS.......like you! "My husband and I have bought and sold several houses and we have never had a better experience than with Jon Lynch as our broker. Jon Lynch gave me a thorough written review of the market in my area and assessment of my property even before I had listed with him. He was extremely generous with his time and explained his plan to sell the property and helped me to know what i could do to show the property to its best advantage. He also gave me a list of services I could use if needed to ready the property for sale. He listened to what I needed done, in terms of a quick sale, and gave me expert advise about how to achieve it. In fact he sold it at his first open house and was able to get me a price beyond the asking price by his skill and knowledge. He did the fire inspection, gas and electric inspection and oil reading for me, saving me time and hassle. He kept excellent contact with me and kept me appraised of the progress as we went through the bidding and sale's process. As it was a condo there were more documents needed than the average house and he walked me through what I needed to gather and helped me have everything ready. He was available literally 24/7 and responded to my concerns or questions promptly and fully. He obviously had my interests first . The sale was complicated by issues with the buyer, but he kept his focus and patience and brought the sale off under difficult circumstances. I would give him my highest unconditional recommendation for his knowledge and experience, his obvious honesty and his patience and kindness in helping me through the process and his tremendous work ethic!
" I have had several home purchase and sale transactions over the years where Dyanne Lynch has represented me as my broker. In my opinion, Dyanne truly has a unique and special gift as a broker. She is amazing at what she does, is professional, personable, credible, energetic, and prospective customers. Through Dyanne's efforts, I received multiple offers for each of the homes I have sold through her, and she was able to negotiate significant price reductions on each of the homes that I have purchased. To say that I highly recommend her would be an understatement. I was also very pleased to have Jon Lynch as part of the team for the sale of my last home. I found him to be very professional, motivated, personable, accessible, capable and effective. A terrific addition to Team Lynch! "Dyanne Lynch handled the purchase of our first home back in 2005. When we decided it was time to move on almost ten years later, we once again turned to Dyanne, this time to handle the sale for us. Now working with her son Jon, the two bring to the table a breadth of experience and current market knowledge that would be hard for any single realtor to match. From start to finish, they did an amazing job of dealing with all of the seemingly inconsequential details that are so important to a successful purchase or sale. Not only are they able to walk the fine line of providing expert advice without leaving you feeling as if you've relinquished all control in the decision making process, but also effortlessly navigate the emotional pitfalls that inevitably arise with such a personal transaction. Yet despite all of these individual skills and the benefits that their team-style approach offer, their greatest strength arguably remains the level of effort and attention that they provide to you as a client. When working with Jon and Dyanne, you truly feel like you are their only client. We couldn't be happier with our Team Lynch experience and would highly recommend them to anyone looking to buy or sell a home." "As First Time Home Buyers this process could have been very overwhelming! Prior to working with Jon we had some bad experiences through referrals that had left a bad taste in our mouth, until the final referral to work with him. Once we started working with Jon, everything changed. Jon did a wonderful job walking us through each step of the process and made sure we felt comfortable along the way. 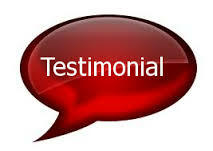 He was able to recommend reputable, responsive individuals that we felt comfortable using throughout the process. He always went above and beyond and made us feel like we were his only client. We recommend using Jon as your realtor without hesitation...he is professional, responsive, knowledgeable and a hard worker."